Rare opportunity to own an Infinity Home property with main-floor master ranch floor plan. 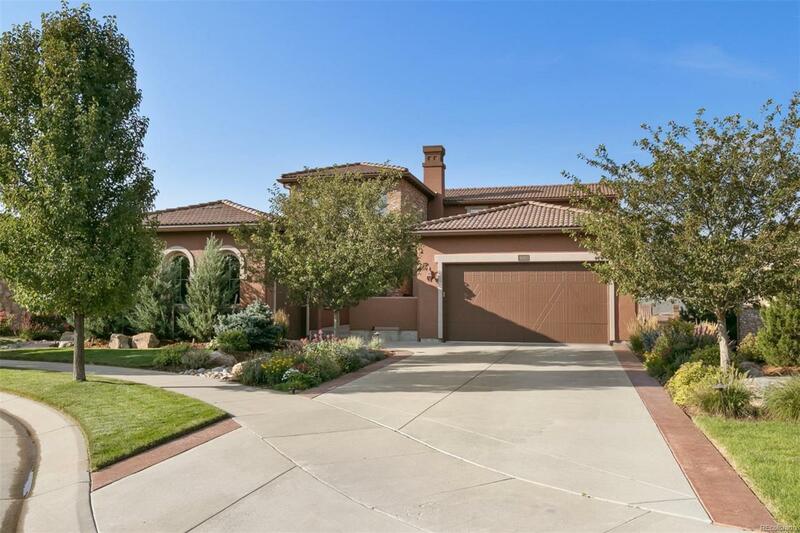 This home is located on a private cul-de-sac in a sweet location in Solterra. Magnificent and unobstructed down valley and mountain views while sitting above the neighbors behind you! Nice open and bright floor plan from the grand hall and kitchen to the morning room and main-floor back deck. The walkout basement features a private bedroom with a full bath, a spacious living area and a flex space that could accommodate a workout area, office or bedroom if needed. Don't miss the lighted patio, ready for sunsets. Tons of builder upgrades in this home, like the beautiful stonewall in the entry tower. Landscape improvements were all custom and professionally completed, with a new path along the side of the home to get to the backyard quickly. Upgraded kitchen cabinets and huge kitchen island. The three-car garage has the third bay ready for the toys that complete the active Colorado lifestyle.